What would a hypothetical challenge between the Atlantic 10 and American Athletic Association look like? An interesting idea was brought up in our forum the other day, and I thought I’d explore it more in depth. There are few things most Atlantic 10 fans can agree on, but there seems to be a consensus when it comes to non-conference scheduling: this league needs to do a better job scheduling challenging, beatable teams. Unless this conference is able to get some big wins before league play, it’s not consistently going to get 4 or 5 teams in the NCAA Tournament. The key to making this league stronger is beating teams from similar conferences. How about the AAC? The American Athletic Conference just added Wichita State, and that seemed to be the final nail in the coffin; the Atlantic 10 is now lagging behind this brand new basketball conference. Still, I don’t think there is a conference in college basketball with as much parity to the Atlantic 10 as the AAC. You have your powerhouses, your middle dogs, and your bottom-feeders, and at the end of the day, you end up sneaking anywhere from 2-4 teams into the NCAA Tournament. Now here’s a cool idea that our member cc582695 brought up in our message boards: how about an A-10-AAC challenge between the two leagues? For two or three days in the non-conference portion of the season, the two leagues could go head-to-head, and from top to bottom, it would make for some very intriguing matchups. The ACC and Big Ten do a similar challenge every year, as do the SEC and the Big 12. It’s becoming more and more of a trend for college basketball conferences to compete against one another before the start of conference play. Not only does it enhance teams’ strengths of schedules, but it makes for some exciting basketball in the early months of November and December when some fans haven’t really started watching their teams yet. Here are some hypothetical matchups, were this tournament to happen next year, with predictions (for the sake of simplicity, just assume every game is being played on a neutral court). Enjoy! Now here’s a matchup I’d like to see. Wichita State basically returns its entire starting 5 from last season. Conner Frankamp, Landry Shamet, Zach Brown, Markis McDuffie, and Shaq Morris make a dangerous starting 5. Realistically, this Shockers team is looking to be in the Top 15 at the start of next season, and this could very well be Greg Marshall’s best team yet. Lucky for him, he’s going to get a year of great competition in the AAC. Rhode Island has the backcourt to compete with the Shockers. Likely a Top 25 team at the start of next season, this squad is going to have a ridiculously deep rotation of guards. While Wichita State would have the advantage on the interior, E.C. Matthews and Jared Terrell are going to be incredibly difficult to stop. I think the Rams would have a great chance at pulling an upset over Wichita State. The Shockers would be the slight favorites in this matchup, but it would be damn fun to watch. Hypothetical Prediction: Wichita State 73, Rhode Island 71. How much fun would this game be? An in-state matchup that could eventually bubble into a rivalry? Sign me up. Cincinnati would be the clear favorites in a game like this, as it’s coming off an impressive season and will return most of its starters. Honestly speaking, Dayton would get crushed on the interior by Gary Clark and Kyle Washington, but the Flyers do bring in Kostas Antetokounmopo who’ll add some height for the first time in a few seasons. I would have loved to see this matchup last year. Quite frankly, this is looking like a rebuilding year for Anthony Grant and his young team. Xeyrius Williams and Josh Cunningham have a chance to become special players next year, but the Flyers might not be in NCAA Tournament contention. I think Dayton could win a game like this at home but probably not on a neutral court. Hypothetical Prediction: Cincinnati 70, Dayton 63. The outcome of a game like this could really wing depending on Semi Ojeleye’s decision to return to school or enter the NBA Draft. If he returned and played in this hypothetical game, I don’t see anyone on St. Bonaventure that’d be able to stop him. That being said, I don’t see the Mustangs having an easy time slowing down the backcourt of Jaylen Adams and Matt Mobley. Realistically, this St. Bonaventure team is going to have a great shot at making the Big Dance; SMU should see a return trip, even without the help of Ojeleye if he decides to leave. This game would be a ton of fun to watch, and I’d think the Bonnies would have a chance if they got hot from three point range. Hypothetical Prediction: SMU 77, St. Bonaventure 74. This is where things start to drop off for The AAC. The Huskies should at least be in tournament consideration next season, but I see VCU’s chances to be higher. The Huskies lose 3 starting seniors, though they keep Terry Larrier and Jalen Adams for next season. VCU loses JeQuan Lewis and Mo Alie-Cox, but Justin Tillman and a stud rising sophomore class will be back in action next year. This is a game that I could see Justin Tillman absolutely going to work in. He’d battle South Carolina transfer Eric Cobb and probably have a good chance of winning that contest. This feels like a game between young and rebuilding teams, but it’d be a heck of a lot of fun to see. Hypothetical Prediction: VCU 75, Connecticut 67. How about a battle of strong recruiting classes? Memphis has 3+ star recruits incoming in Jamal Johnson, David Nickelberry, and Victor Enoh. Unfortunately for the Tigers, they’ll lose 3 starters from last year’s team. Saint Louis will similarly be relying upon incoming transfers in Adonys Henriquez, Javon Bess, and D.J. Foreman as well as freshmen in Jordan Goodwin and Hasahn French. This matchup would be a close one, and the way this Saint Louis team is starting to shape up, I wouldn’t be surprised to see the Billikens get a resume-boosting win. Hypothetical Prediction: Saint Louis 81, Memphis 75. Throw a very good Houston team against a bounce-back Saint Joseph’s team, and you’re in for an intriguing matchup. I’m not sure how well the Hawks are going to respond this season after being plagued with injury, but I do know that Shavar Newkirk, LaMarr Kimble, and Charlie Brown are going to be good. That said, the Houston Cougars may have the American Athletic Association’s leading scorer next season in Rob Gray Jr, so this team would be pretty difficult to take down. 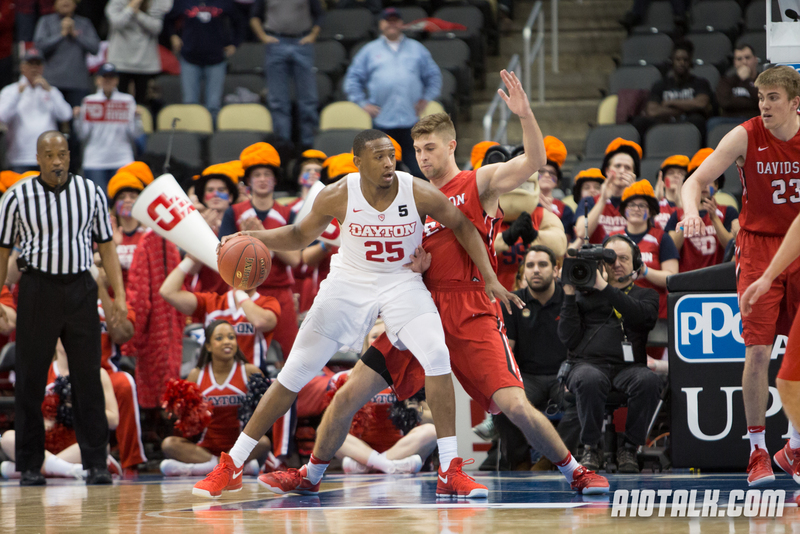 Hypothetical Prediction: Houston 68, Saint Joseph’s 61. Welcoming back Temple to its old league would be fun (though it seems the Owls have played Atlantic 10 teams more than anyone in the past couple of seasons). This would be a pretty fair fight, and Temple showed some dangerous promise beating West Virginia and Florida State at the start of last season. Obi Enechionyia and Shizz Alston Jr. will be two of the better players in the AAC next year. It’d be fun to watch those guys go head-to-head with De’Monte Buckingham and this young Spiders team. Hypothetical Prediction: Richmond 74, Temple 73. How about a rematch from last season? This game could look a lot different. The Colonials pretty easily took care of the Knights 74-59, but this AAC team started to heat up a little bit towards the end of conference play. With George Washington losing a lot of talent to the transfer market, and with Tyler Cavanaugh graduating from the program, this game would be a lot closer next year. Yuta Watanabe is going to have quite the load to carry on his shoulders. UCF almost won the NIT this year, and I wouldn’t put it past the Knights to make a run at the NCAA Tournament next season. Hypothetical Prediction: UCF 71, George Washington 68. This is where it starts to swing clearly to the Atlantic 10 in my opinion. Though the AAC is a bit more top-heavy, the Atlantic 10 has a solid middle core. Tulsa returns 4 of its 5 starters next season, but so does Davidson. The Hurricanes probably don’t have anyone to stop Peyton Aldridge, and that would be an issue. The rising senior has a serious chance at becoming Atlantic 10 Player of the Year next season. I think this would be a good game for awhile, but the Wildcats would shoot Tulsa out of contention. Hypothetical Prediction: Davidson 82, Tulsa 70. In all honestly, La Salle isn’t losing too much this offseason, as long as B.J. Johnson returns, and given how open the Atlantic 10 could be, the Explorers could finish in the top half of the league. Tulane, on the other hand, will not contend in the AAC, and La Salle would win this game pretty easily. Hypothetical Prediction: La Salle 78, Tulane 62. This would almost be a buy game for the Minutemen. The Bulls won just 7 games last season. I don’t see them standing a chance against DeJon Jarreau and Rashaan Holloway. This one would be a blowout. Hypothetical Prediction: Massachusetts 77, South Florida 55. The final tally is Atlantic 7 to American Athletic Association’s 5. Obviously, I’m a bit biased and might know more about the A-10 than the AAC. That being said, I believe the Atlantic 10 has a strength in numbers after the first 3 teams in the league. This conference seems to run deeper than the AAC, thought the top talent over there is likely to be higher ranked all season long. I’d love to see something like this happen in the next couple seasons. Not only would it help SOS, but it’d make for some terrific early season college basketball. Would LOVE to see an A10-AAC challenge!!!! Great article! Great article, great idea. Sadly I think A10 leadership lacks the forward thinking to make the call. One problem with the Memphis-SLU game… Are those roster comments up to date? I thought Memphis lost way more players than that due to transfers?